We are very close to experiencing the last winter day and moving right into spring. This is the time of year that flowers are coming up, the sun is shining and the birds are in full chorus. Drivers on the road are also excited about the spring weather because windows are down and the warm spring air is flowing. However, as winter ends and spring comes, the roads are littered with potholes. Some of these potholes can be categorized at gullies, trenches, canyons etc. 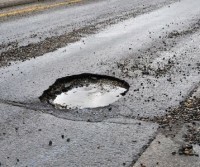 It does not matter if you live in Arlington, Falls Church, Mclean or Tyson’s potholes are present. The local government scurries to fill each and every pot hole but it takes a extended period of time to complete such a large task. It is eventible that you will hit a pothole. So what are some of the repercussions from hitting a pothole? Our service professionals are here to service the greater DMV and Virginia. We are located in Falls Church virginia but service McClean, Tysons and all of Arlington. Our professionals can make sure that you are correcting the damage. It is important to address issues now and not let them spiral out of control. Some might ask what can I do to not have these types of issues? Well pay attention and avoid as many potholes as you can. Go a little slower so you have the ability to react when approaching a pothole. We hope that you learned a thing or two. If you want to setup an appointment please give us a call at 703-532-3500. This winter has been full of extreme weather that includes frigid temperatures that the likes of Falls Church, Virginia has not seen in years. Cold weather like this can cause a variety of issues with your motor vehicle. The topic we are going to discuss today is your cars battery. Valvoline Express Care of Falls Church highly recommends that you have your battery-tested multiple times a year but especially prior to winter. So it is best to have it checked in October/November of each year. The last thing that you want is to be left with a dead battery. On average a car battery will last between 3-5 years based on driving habits and exposure to extreme elements. At Valvoline Express Care of Falls Church we offer a quick diagnostic see if your battery might leave you stranded on the side of the road. It starts with a chemical reaction that puts your car into action. Each battery converts chemical energy into electrical energy that is required to power your car. Essentially delivering voltage to your starter. Without your battery your car cannot start but its job does not stop there. It stabilizes the voltage in your engine to make sure everything continues running. Your battery is a vital part of your vehicle so make sure you give it the attention it deserves. Slow engine crank when your turn your key. The best way to describe this is you will hear a “rur rur rur” noise when attempting to start your car. This is a given but if your check engine light comes on or if you have a “battery” light on your dash. 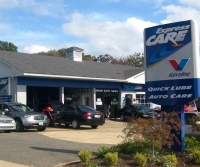 Make sure you come to Valvoline Express Care of Falls Church anytime your check engine light is on. Make sure you have enough battery fluid. Most batteries have a translucent window so you can check it yourself. If you smell something like rotten eggs then this could mean your battery is starting to leak. The liquid inside of the battery is corrosive and could damage your engine. Not only is it extremely inconvenient when you have a bad battery but it could possibly cause more severe damage then making you late for an appointment. Your entire vehicle is made to depend on a variety of parts so your car operates optimally. So if one part of your vehicle is not performing at 100%, like your battery, it can have adverse effects on other parts of your vehicle. 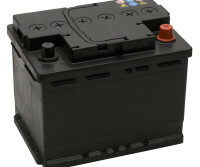 A bad battery can put strain on your electrical system, charging system, starter motor or starter solenoid. Do not allow a bad battery to cause major issues. We are a full service garage that service McLean, Tysons Corner, East Falls Church, West Falls Church, Arlington and are located in the Falls Plaza Shopping Center. This blog might be a little late for this winter but this can be applied to every winter in the future. Punxsutawney Phil did see his shadow this year so we will have Six more weeks of winter so book an appointment today at Valvoline Express Care of Falls Church to make sure your vehicle runs smooth for the rest of our winter. If your car, truck, van, SUV or other vehicle needs a tune-up then it is important because winter can increase problems such as pings, hard starts, sluggish performance or rough idling. Make sure your battery and charging system is working great and have your battery tested. We will speak about battery maintenance in another blog. Make sure that you have cleaned, flushed and put new antifreeze in your cooling system. This is something that should be done every two years. TEST your heaters, defrosters and all wipers to make sure they are in good working condition. When refilling your washer fluid make sure you use a winter or all season mix. Wipers should be replaced every six months. Winter weather can be very slippery so tour tire tread and tire pressure is key to staying safe. You can even put on a set of winter tires to make sure you have the best grip during winter months. Make sure your brakes are in good working order. A vehicles ability to stop properly is its most important safety item. Most people never consider this but make sure your exhaust system is free of leaks. During the cold months people drive around with their windows closed and you can be inhaling carbon monoxide! This should be quarterly maintenance but make sure all of your lights work around your car. Also have your headlights adjusted so they are aimed properly. This most common car, truck, van, SUV etc maintenance is changing your engine oil and filter. In climates where it is very cold you can change to your vehicles “winter weight” oil. At Valvoline Express Care we will check your fuel, air and transmission filters during your oil change. Your winter should be smooth if you follow these 9 steps to make sure your car, truck, van or SUV is for extreme weather. We have recently launched our new website to better serve our customers in the Falls Church, Mclean, Tysons, and Arlington area. Our new website is features rich. We have our customer login located on our site where each customer can go and see all past services conducted at our shop. We have a total of four bays at location. We have two pits, that allow us to do oil changes and other vehicle services. The other two bays have lifts that enable us to perform full service maintenance and repairs for cars, trucks, vans, SUVs and more. Our vehicle service center prides itself on our customer service and customer satisfaction. So please take some time and visit our Sure Critic review site…. http://www.surecritic.com/reviews/valvoline-express-care. We make sure each service we perform for our loyal customers are value added and necessary. We want each car to last as long as possible. With that said we never perform unnecessary services just to upsell a client. We are conveniently located in Falls Church off West Broad Street in the Falls Plaza with a Giant, Starbucks, and Staples. If you are traveling on I-66 we are just off exit 66. Please call today to book your appointment or a vehicle diagnostic!